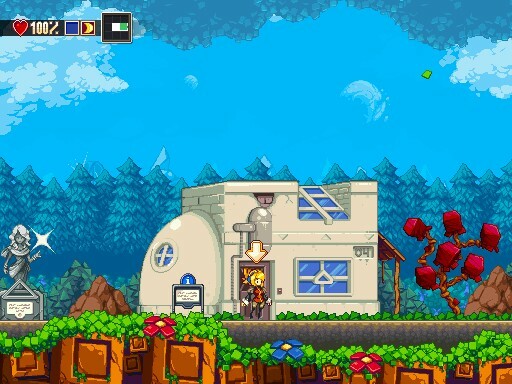 The Iconoclasts is about Robin, a mechanic, in a world where her hobbies are considered illegal. Find out why as you traverse the world with the friends you meet, while coming across big battles and puzzles. The goal of the game is to create a very fluent and exciting action adventure, with enemies that all require finesse and treasures that help build your character for playing again and again. And the game of course has and will have involved bosses. This version of the game is not done, it ends by some soldiers in the desert that want you to help them.